I go in and out of animal print phases and right now I am definitely experiencing a leopard print moment. 1 – Leopard Print Shorts – I actually need these and can’t wait to wear them with a graphic tee for a casual day-time look. Thinking sneaks or sandals would work just fine! 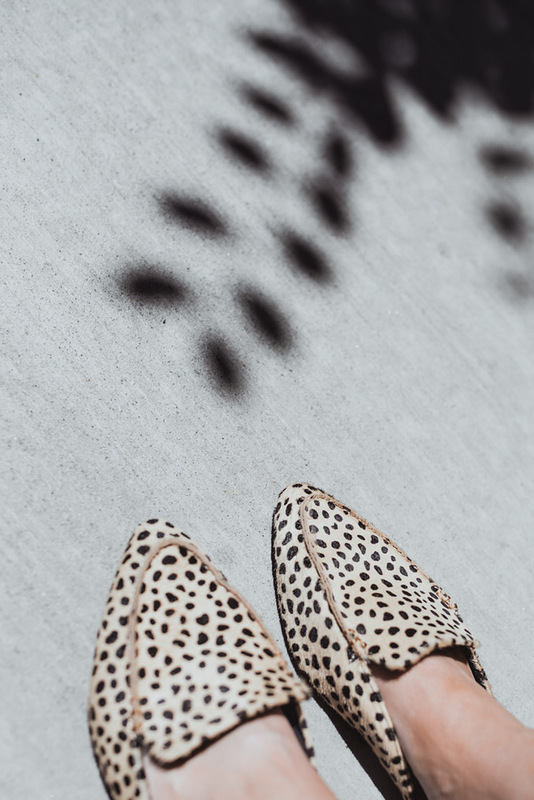 2 – Leopard Print Mules – I have a cheetah pair similar to these ones but the loafer-esque mules above are included in the Nordstrom Anniversary Sale! Check out my full #NSale post here. 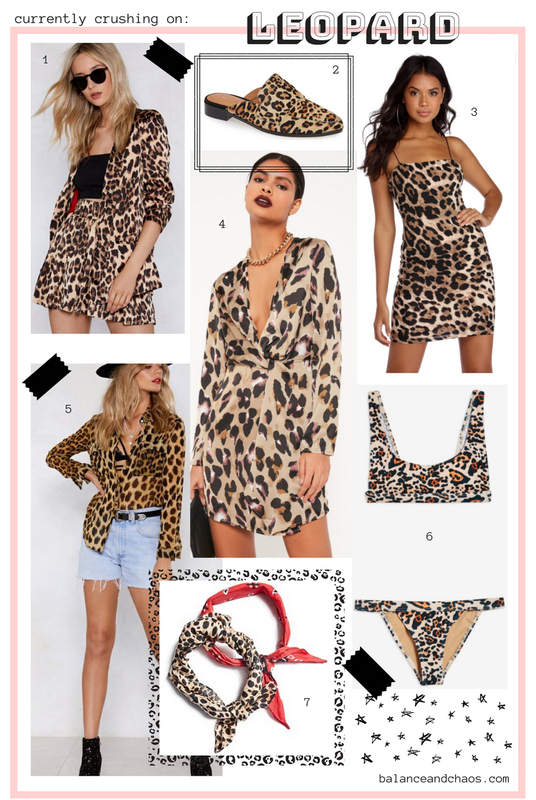 3 – Leopard Print Dress – This square neckline is very hot right now. Loving this mini dress for a night out. 4 – Leopard Print Wrap Shift Dress – This is a more formal alternative as compared to #3. But I am loving the plunge neckline to maintain a little edge. 5 – Leopard Print Blouse – I think this would be so cute paired with my favorite light wash denim. Or shorts like the girl in the picture! 6 – Leopard Print Bikini – Also REALLY loving this Kendall + Kylie one piece option. 7 – Leopard Print Hair Scarf – Hair scarves/bandanas are super cute right now and this is an easy, subtle way to add animal print into your everyday looks. Just Pinterest search “ways to wear hair scarves” and you’ll get a ton of ideas!